A cost-effective bed is vital for community environments, but it is rare to find one with the capability to meet the complex needs of all patients. The Cura Community Profiling Bed has been developed as a cost-effective option without compromising on functionality, with electric four-section profiling, an integral bed extension and auto-regression to ensure the patient is comfortably positioned at all times. The bed features adjustable height from 340mm to 740mm and is supplied with an intuitive handset, making all adjustments simple and hassle-free. 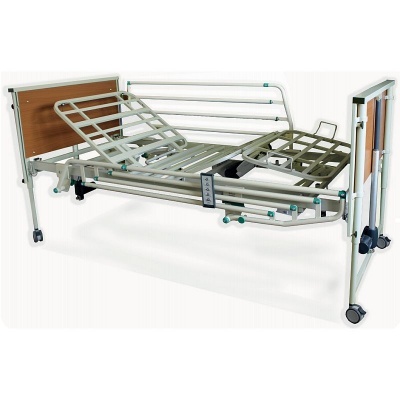 This bed is supplied with integral full-length side rails as standard, and is available with optional mesh cot bumpers to increase patient safety. Select either option using the drop-down menu at the top of the page. To help ensure that users are in the best position to suit their needs for both comfort and support, the Cura Community Bed features four-section electronic profiling built-in at the backrest and knee-break. 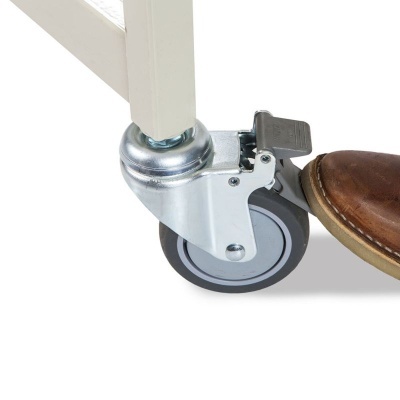 An electric calf lift is also included, allowing lower leg elevation to alleviate circulation issues. 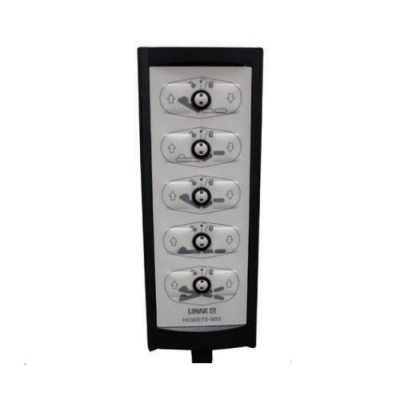 Powered by Linak controls with an intuitive handset, this bed makes all patients adjustments simple and safe. 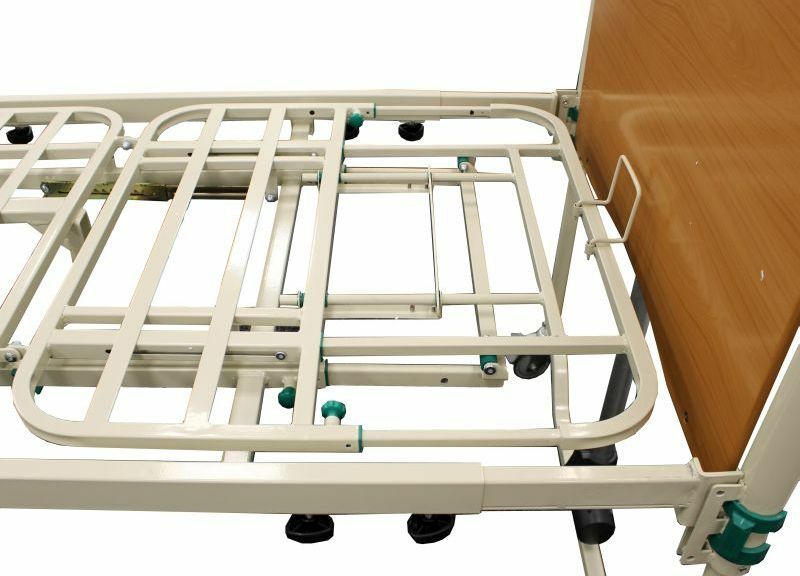 This bed comes with auto-regression as standard, making profiling adjustments safer and more comfortable for the patient. Auto-regression enables the different sections of the bed to move together, preventing any sacral pinching that may otherwise exacerbate the user's risk of pressure sore development. Enabling you to set up the bed to best suit the needs of each user, it features a 140mm integrated bed extension, providing extra bed length if required. 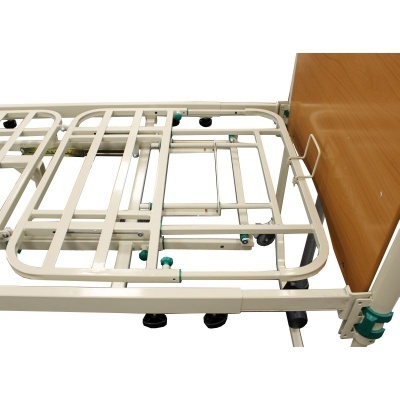 The height of the bed can be adjusted from 340mm to 740mm, ideal for making patient transfers more efficient and providing a safe staff working height. A slatted mattress platform provides a stable and reliable surface for mattresses, while also making it easy to be wiped down for hygiene and infection control. Additionally, a set of mattress retainers are also included, ensuring that mattress movement is minimised for greater comfort and patient safety. The Cura II Supreme Bed is also capable of placing patients in trendelenburg and reverse-trendelenburg positions. This makes it suitable for a wide range of care and medical uses, increasing its versatility for more complex care provisions such as fluid drainage procedures. Ideal for use in a community care environment, the bed has been designed for efficient transportation. Assembly requires no tools, allowing it to easily take place in a care environment. Once disassembled, the bed separates into four parts, making transport and storage simple. Kerbside delivery to your chosen location is included in the price listed above, however, for a full setup and installation service, an additional fee will apply. For a full delivery, installation, setup and demonstration service, tick the 'Profiling Bed Delivery and Installation' box above. 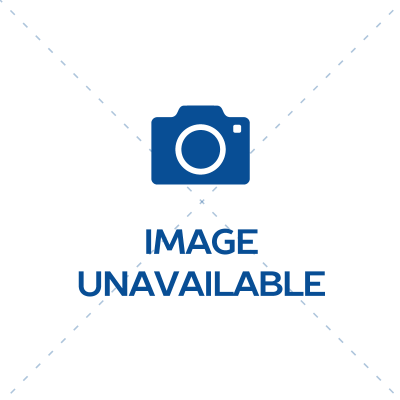 The technical specifications of this bed can be found in the 'Specifications' tab above.